Nikki and I had quite the lengthy and fun chat. 😀 I’m sure a lot of you would love watching and reading about the interview where she shared some details about her health struggles, hCG diet journey, and her experience with P3tolife and what she loves about the program. Health Conditions: Thyroid cancer at 28 years old. Her thyroid was removed and she now takes Naturethroid, a natural dessicated thyroid hormone replacement that has both t4 and t3. Initially lost weight after having thyroid removed, then gained without explanation to her before hCG starting weight. hCG History: Had a few different rounds and a few different Phase 3’s but this was the first time she was able to stabilize and maintain her hCG weight loss – using the P3tolife program – as of the time of this writing she spent 2 full months maintaining. She experienced a 4 lb gain more recently after deviating from the P3tolife eating style near the holidays. She is planning on another round since she would like to lose additional weight anyway and plans to follow P3tolife “to the T” for her upcoming Phase 3. Nikki is 34 years old, stands 5’4 ½” tall and currently weighs 143 pounds (about 4 pounds of which she only gained back in Thanksgiving after being stable at 139 pounds for several months). The first time she did hCG was in 2015, when she was 31 years old. Prior to trying hCG, she weighed 154/155 pounds. At the age of 28, Nikki was diagnosed with papillary thyroid cancer. She had to have her thyroid removed through surgery and she has since been taking thyroid medication. According to Nikki, she was diagnosed after she passed out in her apartment. It was during an echocardiogram when her thyroid tumor was found. Nikki believes that the cause of her cancer was from years ago, while she was still in college. During Organic Chemistry class, she may have been exposed to radiation when she mishandled some chemicals. Nikki continues to take thyroid medication. Because she did very poorly on Synthroid in the past, she is currently taking Nature Throid and Thyrocin. Prior to her diagnosis and treatment, Nikki’s usual body weight was 139 pounds, but shortly after her cancer experience, her weight dropped to 126 pounds which she believes was caused by stress. Nikki remembers that after her thyroid medication adjustment (done for TSH suppression to prevent recurrence), she immediately gained 25 pounds and her weight shot up to over 150 pounds. She assumes the adjustment of the medication did something to her adrenals and it caused the quick weight gain. Nikki tried many things to lose weight including Medifast, detox, bone broth fast, but none of them did anything to help her lose weight. For someone like her who does dance performances and has to be in front of people, her weight gain and inability to lose weight psychologically affected her. After her weight gain and not being able to lose the weight through the different diets she tried, Nikki started wondering what was wrong with her. She had tried and failed so many times that her confidence had basically dropped to zero. I was really glad to hear that Nikki was able to use the resources available in the website to aid her in her hCG journey. She told me about how she learned to inject herself by watching the tutorial videos. Nikki did really well on her first round, her weight dropped from 155/156 pounds to 130/131 in 30 days. A weight loss of 25 pounds! Note: Nikki had to ask her doctor to decrease the dose of her thyroid medication during P2 because she started having palpitations. Nikki felt great after losing weight. However, it didn’t take long for her to gain back some of it after she got a new job where she had a 4-day training and she couldn’t follow P3. She said she rapidly gained back around 8-10 lbs in those 4 days. When her weight went all the way back up, Nikki felt like her initial efforts were wasted and that she botched the whole thing. However, watching hcgchica videos helped her cope psychologically with the weight rebound. I completely understood where Nikki was coming from. I told her how I went through the same thing. Oftentimes when we mess up – and this is not just in terms of dieting and weight loss, it can be in all other aspects of life – it’s easy for us to think that there’s no way around it or that we can’t overcome it. I have learned that troubleshooting works. You just have to make a plan. Think back on what happened, why it happened, what you have learned, what you can do better next time. When you run into issues and you feel discouraged, take a step back and do some research. Find the possible solutions and things can still turn out great. When Nikki thought about trying hCG again, she didn’t really have the trust and belief that she could do it, even though she had lost weight the first time she tried it. After the experience of gaining all the weight back, Nikki felt her confidence drop which is the reason she did a poor second round of hCG months after her first try. She felt that at some point, she just lost faith thinking about how she did not have a thyroid anymore and how she was unable to maintain her weight loss. She admitted that she did not really trust herself at that point and did not have a mindset of success when she went on her second round and so did not lose much weight. Nikki’s last round of hCG was in July/August of last year, this time followed by the P3toLife program. However, she said she did not strictly follow the protocol and had deviated from it sometimes. Despite that, her weight still went down from 154 to 136 pounds, it then went up a little to 139.6 (her pre-thyroid cancer weight). It was not her ultimate goal, but she was happy to be at that point. She maintained that exact weight for about a couple of months until Thanksgiving where she gained about 3 or 4 pounds, bringing her to her current weight. In terms of exercise, Nikki Started working out 2 weeks into P3 (she mentioned she stayed on the program longer than 3 weeks). When she signed up for the boot camp workout, she was still on P2 and it was during her last 2 days of hCG when she took a tester class and she just felt absolutely horrible because the exercise was so intense. She inevitably waited until her second week in P3 to formally start working out. Food for thought for those who are wondering about exercising during P2. I tried to keep crossfitting during my 4th round of hCG. I actually went to crossfit for about one or 2 days and just like Nikki, I felt horrible. I had no energy and I felt like everything was just sucked out of me. I felt like eating the whole house to compensate for my hunger and exhaustion. I also had a stall for 10 days (about a week and a half). It’s really not a good idea to pile on too many stresses on your body all at once. It can cause adrenal fatigue later, especially for women. Another thing that Nikki and I discussed during the interview was how she kept a record of her daily weight on her hcgchica P2 workbook. I was really happy that she found it very helpful and that she has both the hard copy and the device version. Nikki loved using the workbook because she found it beneficial to have a template to track her journey in. She also liked tracking her weight. And with the digital workbook on her device, Nikki can open it up and track her hCG journey everywhere. For those who are interested in the workbook, please visit hcgchica.com/workbook. The digital workbook is available in the printable version and there’s also the device version which you can use with the adobe app. Even though Nikki did not follow a very strict P2 and the P3 program during her last round (she admitted to having some sweets/candy or a very small piece of chocolate sometimes), she still managed to lose weight and maintain it for at least a couple of months before she gained a little back during Thanksgiving. She also did not have to do any correction days on P3 and except for a few instances when her weight fluctuated just a little bit, she pretty much stayed the same at 139.6 pounds. Before starting P3 to Life, Nikki felt a little scared at first because she wasn’t sure she was going to be able to make it work because she didn’t really cook that much in the past and she wasn’t sure how she could make time for it because she works full time. But after trying out batch cooking and as she got used to making the recipes, it took much less time and effort. Nikki found that she was having a lot of fun and cooking did not feel like work at all. She credits P3toLife for teaching her how to cook. Nikki hasn’t tried making all of the recipes from the program yet, but she said that among her favorites are the Fish Taco Bowl, Indian Curry, Turkey Chili (which her boyfriend loves and refers to as “crack”), Chicken and Shrimp Jambalaya (another one her boyfriend refers to as “crack”), Bacony Egg Cups (she just loves how easy it is to make them), and Steak and Cauli Rice. According to Nikki, she does her batch cooking mostly on Sundays, but she also does some meal preps on Monday or Thursday. For those of you who are thinking of following the program or who have just started following the program, if it takes a lot of time to prepare your meals during the first week or two, don’t fret and don’t think it will always be that way, it’s all about getting up to speed. It will eventually become second nature. Give yourself time to adapt, it will be more enjoyable. Despite her background in healthcare and her knowledge of the science of nutrition, Nikki thinks she’s never really eaten like a regular person. She feels that what P3 to Life has taught her is how to integrate a normal, happy, and healthy way of eating. For Nikki, the program promotes a healthy structure with the meal plan. One of the things Nikki loves about P3 to Life is how the meal plan is laid out for 4 meals a day instead of the usual 3. She thinks it works really well especially for someone like her who enjoys exercising. P3 to Life versus Plain ol’ P3? Nikki believes that after completing P2, you’ll need to be committed to sustaining a way of eating to keep the weight off and you’ll need a strong mindset and a plan for the next phase in order to be able to do that. She believes that most people’s failure in P3 is because of going into it not having a plan. Although Nikki created a P3 plan for herself using her one-pot wonder meal ideas, she found it so boring and she ended up not wanting to eat any of the meals. One of the things she repeatedly pointed out about the P3 to Life recipes is how appealing and mouthwatering they looked. She mentioned being so impressed that when she made the recipes, they actually looked as good as in the photos. She also found preparing the recipes very fun. According to Nikki, she feels like a gourmet chef looking at all the meals she could prepare and feeling very excited to make them. With P3 to Life, she felt like she could integrate the meals into her normal way of life. She can cook for her boyfriend and they can eat the same food. She feels like she can throw a party and serve the meals from the program and her guests would love it too. Nikki’s ultimate weight goal is around 125 pounds so she plans on doing another round of hCG, properly this time, without any deviations. P3 to life gave her confidence that she needed because the program worked for her and she knows that keeping the weight off is possible and a happy, healthy way of eating is sustainable. I was so glad to hear from Nikki and from many of you that you’re happy with the recipes and you’ll be happy to eat P3 to Life meals long term. It was one of the things I was concerned about before because I never wanted anyone to feel like they’re stuck in a cycle of dieting. It was so important for me to find a way of eating that actually works to keep the weight off with meals that will make you happy and satisfied. What were/have been your biggest concerns when contemplating going into P3? I had difficulty believing that it would be possible for me to maintain my weight loss. The first time I did hcg was in 2015. I lost ~24 lbs and I kept it off for 2 weeks eating a low carb diet. But then I went away for a 4 day work training where they fed us 3 meals a day and snacks. It was so decadent and it woke up my carb/binge brain. I literally gained 8 lbs in 2 days. I never recovered from that and in fact, gained to my previous start (maybe even plus a couple of extra pounds). After that, I’d tried doing 2 more hcg rounds, but my brain was not in it. I did a horrible job in both P2 and P3. The most I lost was like 6-7 lbs, which I gained back. I still remembered my first round of hcg and how it worked tremendously – but that I fudged it up with a horrible P3. So I tried to hone in on the knowing that weight loss is possible, with the additional knowing that if I didn’t do the protocol correctly, or follow-up with P3 correctly, that it would be a failed effort yet again. Confidence, a roadmap, and a game plan. It was also exciting – it was like starting a new plan unto itself. Even though I’d previously created a P3 meal plan of my own, it wasn’t something I wanted to stick to. I was curious about all the P3 recipes (the pictures looked great!) and was also grateful to have the coaching videos. I liked how the nutrients and macros were all spelled out so I wouldn’t have to worry. It would be VERY doubtful to have a gain eating 800-900 calories and gradually transitioning up. So, I never made the smoothies, which I regret! I still want to make them as they are so pretty looking. I used the simplified meal plan for week 1, and then used the build your own meal plan in combination with the original plan and simplified plans. There were some recipes that looked cool from the original plans (like the morning mug breads) that weren’t on the simplified plans, so I would make those separately. No – I didn’t have to. And I’m also glad because I have realized, through my experiences on hcg and in hundreds of previous diet attempts, I am not good at having to “correct” in any way, shape, or form. I was exercising during P3 and there were some days where I dropped a bit more than 1 lb below my LIW (139.6 lbs). For most of P3 I stayed literally at that exact weight, to the decimal. The highest I fluctuated was 1.8 lbs above my LIW, and that was one day (I also believe that I had carbs when I was not supposed to). Now, three months later, I stay within 1 lb of that (even when I overdo it on carbs). In a nutshell, can you share your tangible results from following the P3tolife program? – how your weight has been, while following the P3 program? My LIW was 139.6 lbs and my weight on day 21 of P3 was 139.6 lbs. Exactly the same! 3 months later, I fluctuate between 139.4-140.8 lbs. Oh my gosh yes – I can’t believe how amazing these recipes are. I’m way beyond week 6, and I’m still loving week 1 foods. My boyfriend, who has no kind of weight problem whatsoever, says the turkey chili from week 1 is like crack! Same for the Jambalaya and Thai Curry (I made it red versus yellow) from week 3. Everything that I have made, so far, from the recipes is phenomenal. They look good (good enough to post on Instagram, so I’ve been showing off :)), they have tons of flavor, they make the process exciting. I honestly feel like a chef and it’s built a confidence in me that I never had in the kitchen. I feel like these recipes taught me how to cook, and I feel so good about sharing these foods with others. I will make the recipes in bulk and can feel fine about my boyfriend OD’ing on the portions because he’s getting in tons of veggies. I also love the idea to batch cook. I would never have thought to make these things on my own. I feel like this has taught me how to be a normal eater, as well (this is how real people eat – versus what I used to do. I’d cook eggs for dinner. Or whatever would fit in one pan, for one person. Now, if I have a family, I feel I’m ready to feed them). I work from home, full-time (over-time, I should say) and live with my boyfriend in a one-room studio. When I started P3, he was out of town long term, so I was alone. We don’t have a working oven, so I bought a convection oven and got over the fear of using it before he got back (haha). I initially tried to make most foods on Sunday, but I ended up batch-cooking 3 times a week. I then became more disorganized and didn’t have a format (that didn’t work so well – I think that figuring out days to shop and batch-cook is a good idea). Initially, cooking took me longer because of the learning curve (for myself – a non-chopper, non-oven using person). But now that I feel more confident and comfortable, I can prep quicker. So I will sometimes batch cook one recipe at a time for a dinner and do a build your own meal type of meal for lunch/breakfast. Oh yes, I struggled. I also struggled in P2 aside from my first round. My first P3 was totally botched when I was “fed” during a 4-day work training 2 weeks into P3. My subsequent attempts were really just failed efforts – I didn’t follow the plan for P2 or P3 so I set myself up for failure. I really appreciated having a program where all the doubts I could have were already worked through (I wouldn’t have to doubt myself in failing at the creation of my own diet plan, or how many nutrients and calories I should consume, etc.). I could just relax and follow something that others had tried. I’ve learned how to cook awesome meals (including meat – I really would not touch raw chicken. I wouldn’t know how to make any of this). I learned how to cook period! To prep in batch. To use a convection oven. I didn’t expect that I’d be excited by what I can create in the kitchen and that it actually gave me a roadmap for what I can prep for others. I love the Bacony Egg Cups (I could eat those for breakfast, lunch, and dinner). When I made the Fish Taco Bowls my boyfriend said it looked amazing (and it also tasted amazing). Also – the Jambalaya and turkey chilli for the fact that they were such a huge hit and are relatively easy to prepare. I was also excited about the Spanish Cauil Rice, and the Meatballs and Spaghetti Squash, both from week 1. Was there anything in the coaching section you found useful or that resonated with you and how so? I’m behind in life so I’m still not finished watching them! But I always appreciate the intense exercise encouragement (I did a bootcamp that started shortly after I started P3 and I think that this was really helpful in jump-starting my metabolism and maintaining my weight loss – especially since I wasn’t “perfect” in how I followed P3. I did have some occasional carbs of the non-desirable varieties. Honestly – I think this program is the gift that keeps on giving. I have so many more things to try from the recipes. 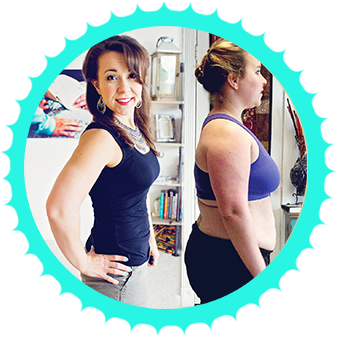 I do want to take off about 15 lbs more – and I think if I started the P3 to Life program again, from the start, to a T, that I would actually be able to accomplish the rest of my weight loss doing this. I may actually try to do this and see what happens. I’ve been playing with the idea of doing another (and final) hcg round in Januaryto get to my goal weight of 125 lbs, but if I can do this with the P3 to Life program, that would be even more ideal. Have you ever used Lipo shots or b12 shots, and if so, what do you think of them? My first round in 2015 was prescribed by a doctor and it had B12 mixed in. I can’t say for sure it made me feel any different – but out of the 4 attempts that I’ve done hcg, I lost the most weight that time (I got down to 130 lbs). Apple Days - Are they Good for Cheats and Stalls? You just started HCG on the 16th of April and am down 8 pounds. I’m much larger than the women I’ve seen on your web. I started at 239.8 and 1 week into it I’m at 231.6. I believe it would be more but I’ve gotten sick and am on medication. I was about 120 until my mid 30’s and then gained about 15 pounds in my 40’s. I skyrocketed when I lost my parents and quit smoking leaving me at my current weight. My plan is to eventually get to 150-160.